In 1984 the International Jubilee for the Young was celebrated by John Paul II in St. Peter’s Square in a celebration that also marked the close of the Holy Year of Redemption. At this gathering the Holy Father entrusted youth with what is now known as the World Youth Day (WYD) Cross - one of the most important symbols of WYD. The UN declared 1985 the first “International Youth Year” and to celebrate it the Holy Father welcomed youth from all over the world in Rome on Palm Sunday. 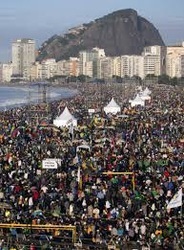 In December of the same year he announced the institution of World Youth Day. 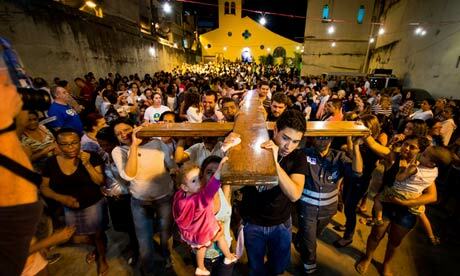 It is celebrated annually at the diocesan level on Palm Sunday in Rome and at a week-long event internationally every two to three years. 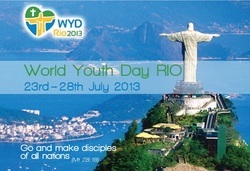 Click on this link to visit the official World Youth Day web site and obtain the latest information.